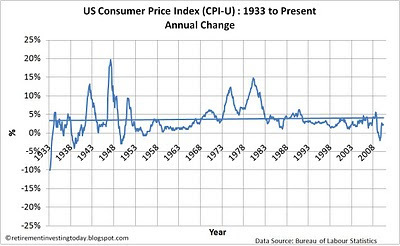 The above chart shows the US Consumer Price Index (CPI-U) to April 2010 courtesy of the US Bureau of Labor Statistics. 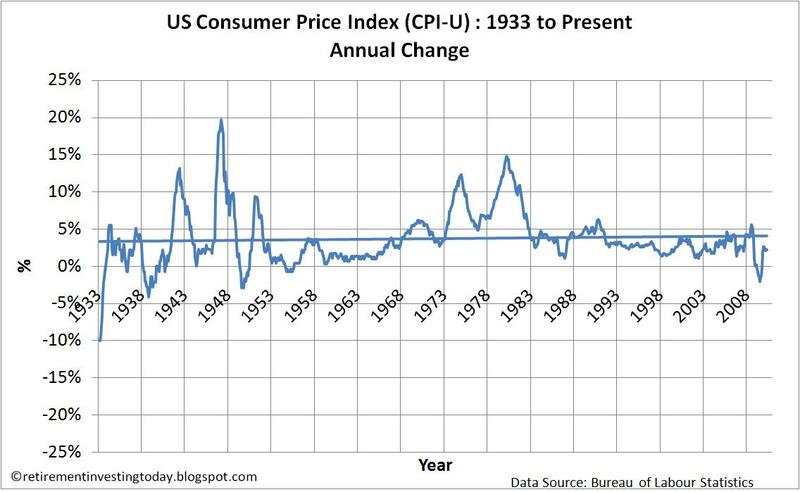 Year on year the US CPI inflation index has risen from 213.24 to 218.009 which equates to 2.2% today (down from 2.3% last month). Annualising the last 6 months has inflation at 1.7% and annualising the last 3 months has inflation running at 2.4%. I have taken the liberty of dividing my first chart into two sections. The first red section runs from 1871 to 1932 and the second blue section runs from 1933 to present day. I chose this break point as during 1933 the US officially ended their link to the gold standard. 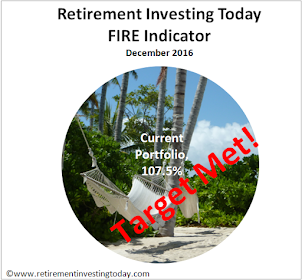 I think this chart demonstrates a point that government will always choose to inflate debt away at the expense of savers if given the chance. They could not do this under the gold standard. 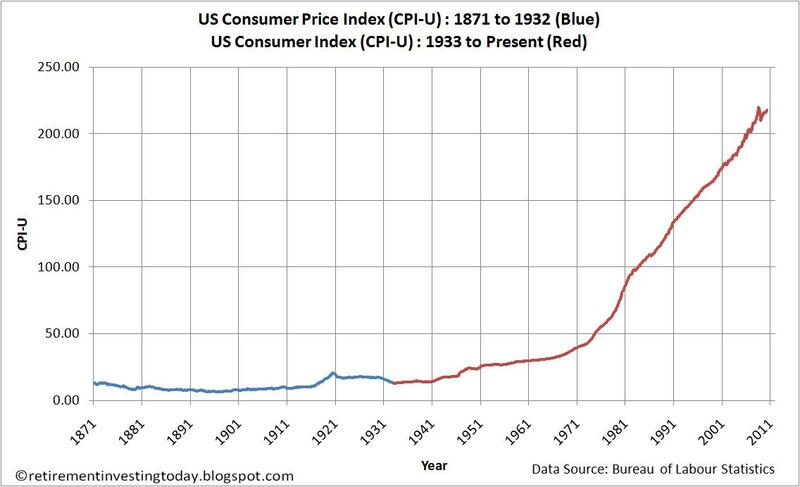 It’s actually interesting to look at how inflation behaved over both these two periods in a little more detail. 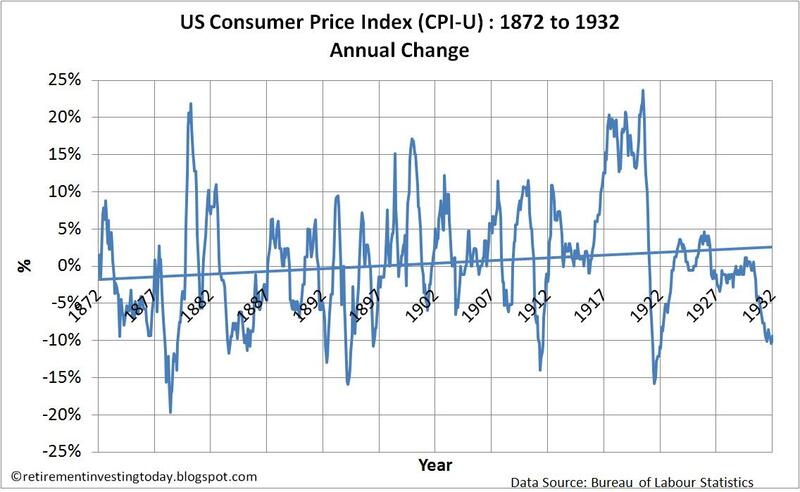 My second chart shows the annual inflation change for the period 1872 to 1932. 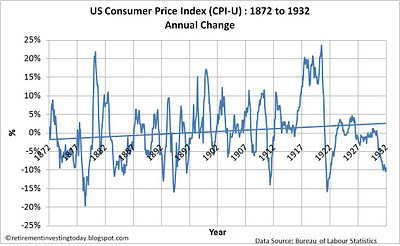 During this period there were some wild swings between inflation and deflation of over 20% however on the whole the index only rose by an average of 0.5% annually. Compare that with the period 1933 to present which is my third chart today. We’ve still had peaks of 20% however not as often and the whole inflation rollercoaster seems much more flat. What is clearly absent though is much deflation which means inflation over this period of 3.7% annually. 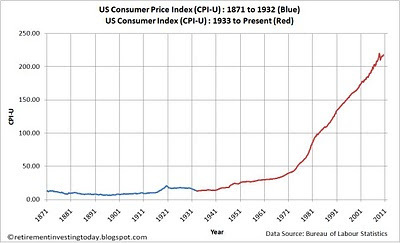 Unfortunately governments today will just not accept deflation and whenever it looks like happening they start ‘printing money’ like crazy on top of an ever expanding supply of money. 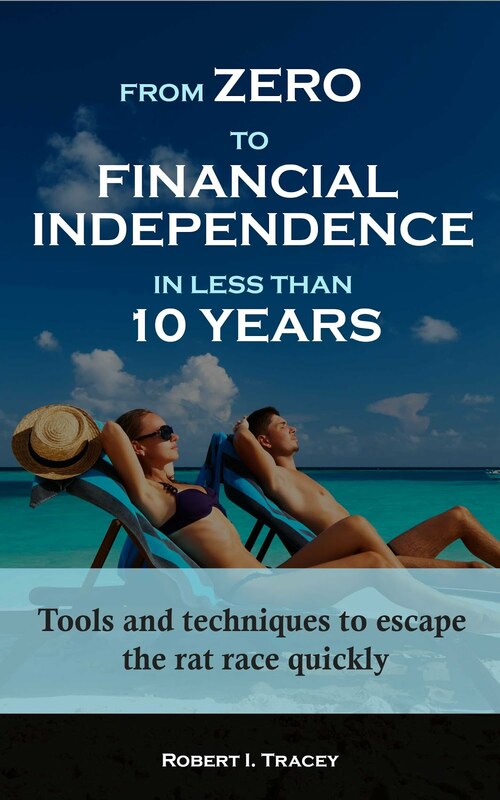 With the vast majority of the developed world riddled in debt including most governments they cannot allow deflation or they would all be bankrupt. Therein is the problem with our current monetary systems. It is just so easy to print your problems away. Unfortunately this combined with expanding the money supply eventually gets you to the steep bit on an exponential curve. What happens then? "I think this chart demonstrates a point that government will always choose to inflate debt away at the expense of savers if given the chance"
I think this is the preferred path; generally those in debt include those with mortgages, those with consumer debt; a large proportion of voters. I think they also prefer inflation to unemployment for the same reasons. I'm not sure what happens when you get to the steep bit. We're in an unprecedented era where most every nation uses a sovereign fiat currency. Sovereign fiat gives a nation extraordinary spending powers that it would not otherwise have under a commodity standard. We're in uncharted territory, so to speak. Thanks for stopping by Kevin. I'm also not sure what happens when you get to the steep bit. History however suggests that fiat currencies don't last forever and maybe the current lot are closer to extinction than we think.